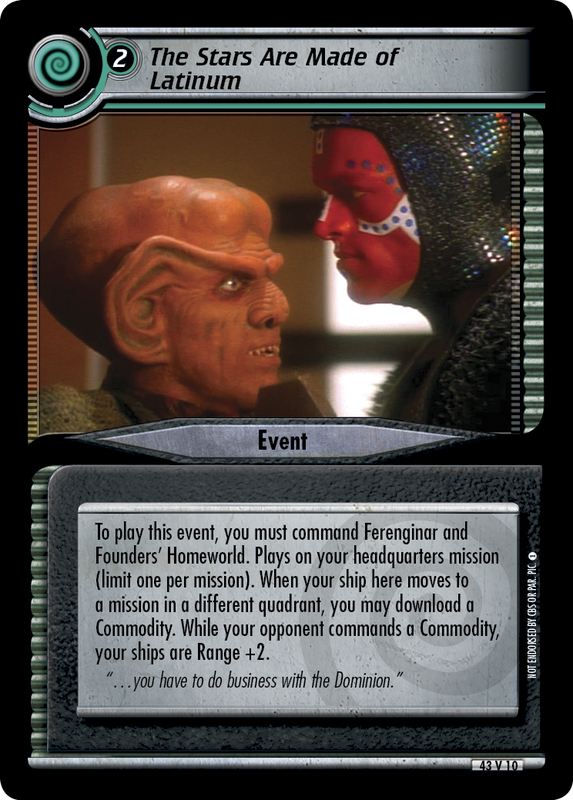 To play this event, you must command Ferenginar and Founders' Homeworld. Plays on your headquarters mission (limit one per mission). When your ship here moves to a mission in a different quadrant, you may download a Commodity. 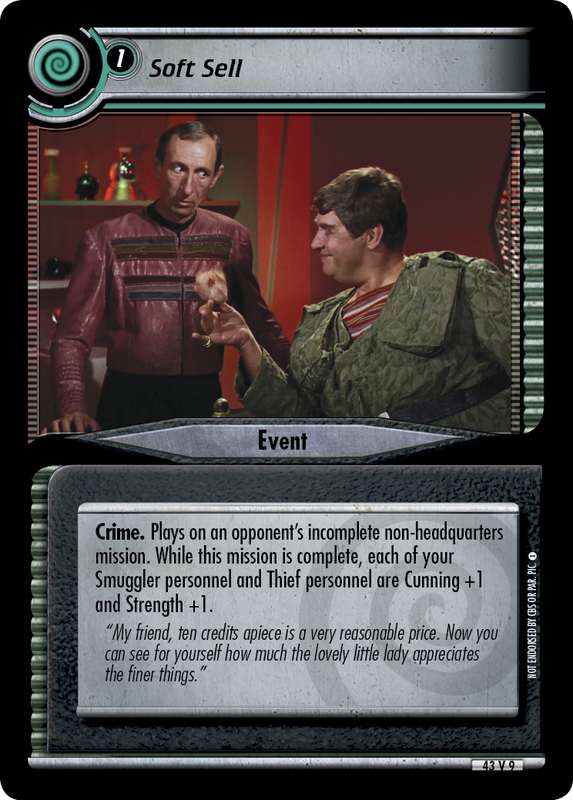 While your opponent commands a Commodity, your ships are Range +2. 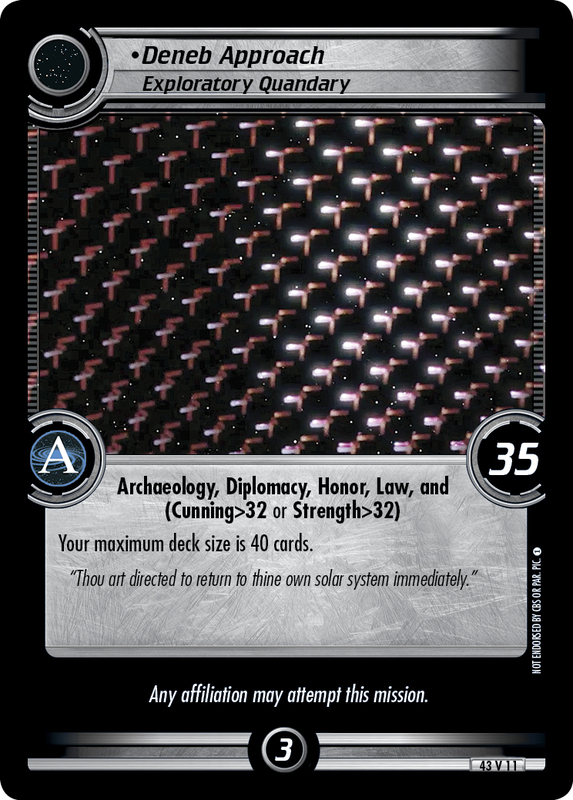 "... you have to do business with the Dominion."